Who Is TV Host Veronika In Hallmark’s ‘Broadcasting Christmas’? 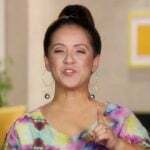 In the Hallmark movie Broadcasting Christmas, morning TV talk show host Veronika Daniels announces that she’s looking for a new on-air co-host. Among the candidates vying for the job are exes Charlie Fisher (Dean Cain, Superman) and Emily Morgan (Melissa Joan Hart, Sabrina the Teenage Witch). The two bring their A game to competition which tickles Veronika. During the network’s Christmas Day telethon, Veronika announces the winner. Veronika is portrayed by Jackée Harry. She’s known for her roles on The First Family (Pauletta), Everybody Hates Chris (Vanessa), Sister, Sister (Lisa Landry), 227 (Sandra Clark), and in the TV mini-series The Women of Brewster Place with Oprah Winfrey (Etta Mae Johnson), among many others. 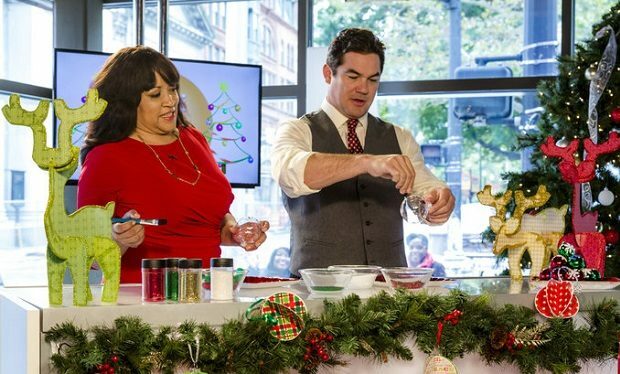 Broadcasting Christmas premieres on November 23 at 8pm on Hallmark. It will air again on Nov 26 at 2pm, Dec 1 at 6pm, Dec 4 at 12pm, Dec 7 at 8pm, Dec 11 at 8pm, Dec 12 at 6pm, Dec 17 at 10pm, Dec 12 at 12 am, Dec 27 at 10pm, and Dec 31 at 4pm.